Now that the kids are out of school, and the temperature is rising: Summer is officially here! For most people, summer is a unique time of year, with a distinctly different lifestyle than during the non-summer months. Focus turns more towards outdoor family activities such as vacations, long weekends, camping, festivals, family gatherings, concerts, large sporting events and more. And of course, let’s not forget about extra time in the swimming pool, lake, or other favorite watering hole along with many of the noisy recreational activities that can be part of summertime fun. Hearing is a sense that helps us to connect with others, and summertime activities are a significant part of creating memories that can last a lifetime. Therefore, it’s important to note that precautions should be taken to help protect your hearing from summertime hazards, to insure that the sounds of the season will last for many more years to come. A few examples of summertime type activities that can produce the type of high level noise that could potentially damage our ears are: Loud outdoor concerts, motorized vehicles, tools, shooting ranges, sporting events and fireworks. For example, the single bang of a firecracker at close range can cause permanent hearing loss in an instant. In the case of swimming, while the hazard does not involve loud noises, a common problem is swimmer's ear. The excessive water in the ears can lead to painful infections, and in extreme cases, permanent damage. There are an estimated 48 million Americans who have reported some degree of hearing loss and, sadly, have experienced the reality of missing all or part of the special sounds of summer. For many of them, hearing aids are already part of their life. While these devices may help to restore part of their hearing ability, they now need to be extra careful to safeguard not only their remaining hearing, but also their hearing aids as well. 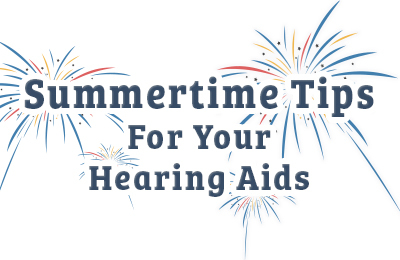 Be sure to read Summertime Tips For Your Hearing Aids, for more information about the precautions that people who wear hearing aids need to be aware of. For reference purposes, any sound above 85 dBA for 8 or more hours can be considered unsafe and presents a potential risk to hearing health. A general rule of thumb is that if you are within an arm’s length of someone and still need to shout over the noise to be heard, then the noise is probably in the dangerous range. You hear buzzing or ringing in your ears immediately after exposure to noise. These are both signs of tinnitus. Speech becomes suddenly difficult to understand, shortly after exposure to noise. For example, you can hear people talking; however, you cannot understand them. 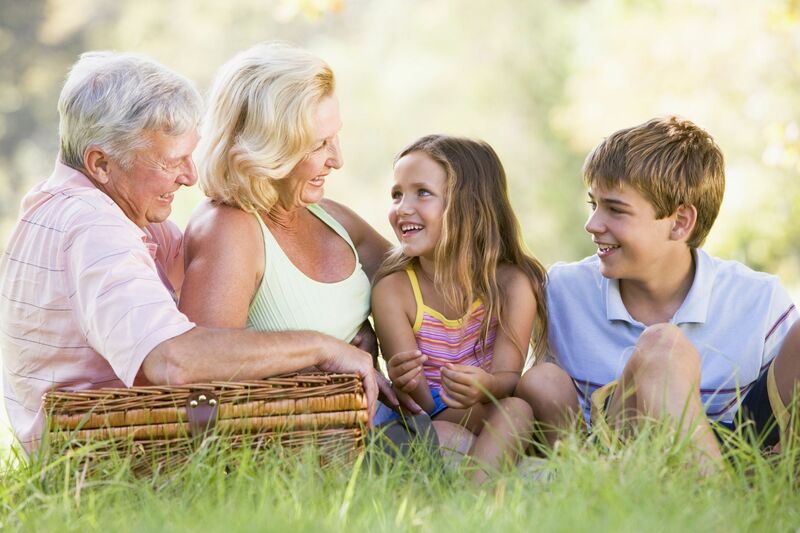 The risk of hearing loss due to prolonged exposure to high level sounds has no age boundaries. However, there is a silver lining, because unlike hearing loss due to a medical condition or aging, impaired hearing caused by excessive noise is preventable. Prevention can be just as simple as being aware and making the right choices. By recognizing the environments when your ears may be in danger and taking steps to safeguard them, you can help prevent damage that could affect the enjoyment that comes from listening to friends, music and sounds you love for the rest of your life. If you feel that you may be experiencing hearing loss, and that hearing aids might help you, please visit our Online Hearing Check or call 1 (800) 804-0434 to speak with a hearing specialist about our complete line of discounted, affordable hearing aids designed to help people hear more clearly. If a loud noise suddenly surprises you, quickly use your fingers to plug your ears and then move a safe distance away. The further away from the sound you can get, the quicker the intensity and the danger to your ears will be reduced. Be smart and plan ahead. If you think you might be around loud sounds, bring a pair of earplugs with you. Disposable earplugs are small and easily stored in a purse, car or even a pocket. They are often available at local pharmacies and are a sensible way to adequately block out dangerously loud sounds while still allowing you to hear music and conversation. When you are watching your favorite display, always stay a safe distance away. If you have to shout in order to have a conversation above the sound of the fireworks, you are probably too close. Find a place where you can enjoy the colors and lights but still protect yourself and your family from the loud noises. Also, make sure to remember to wear your earplugs for the entire show. Remember, hearing can be damaged not just by high volumes, but also by the duration of the time spent listening. The shorter the length of time spent exposed to loud noises, the better. It is suggested that when you are in a noisy environment, alternate your time with periods of quiet in between the louder periods. This also includes the use of personal listening devices with headphones or ear buds.